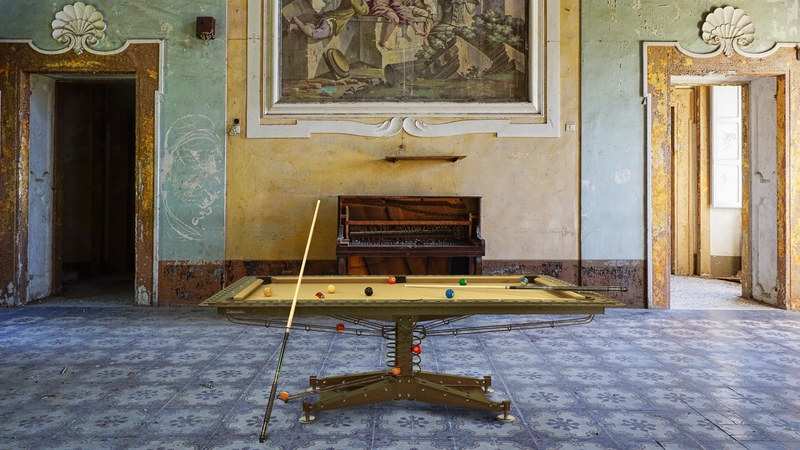 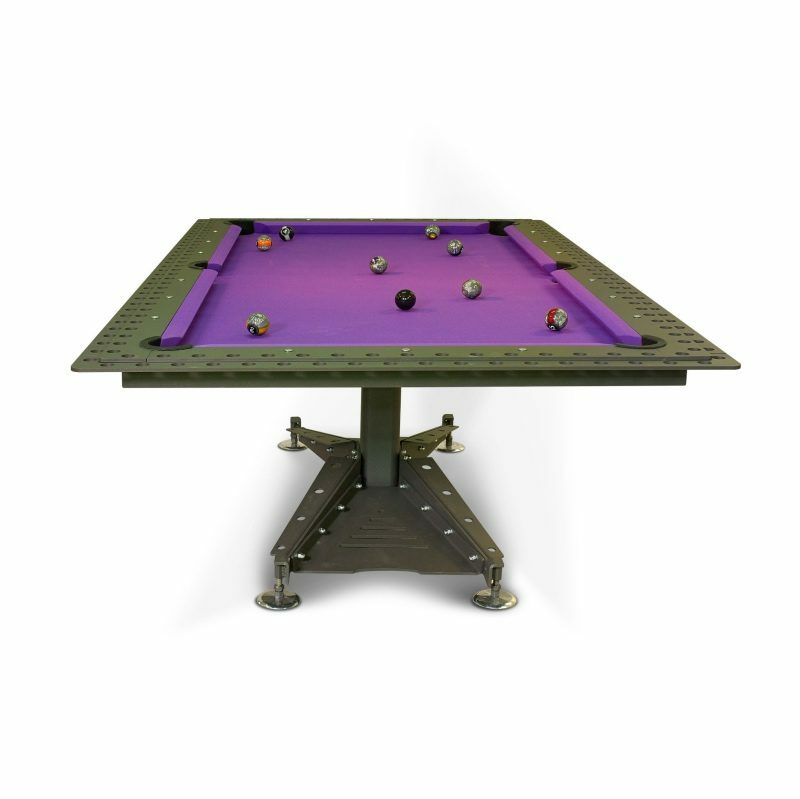 The Industrial Pool Table is available in our 7′ size and can be used to play English Pool, American Pool and Carom. 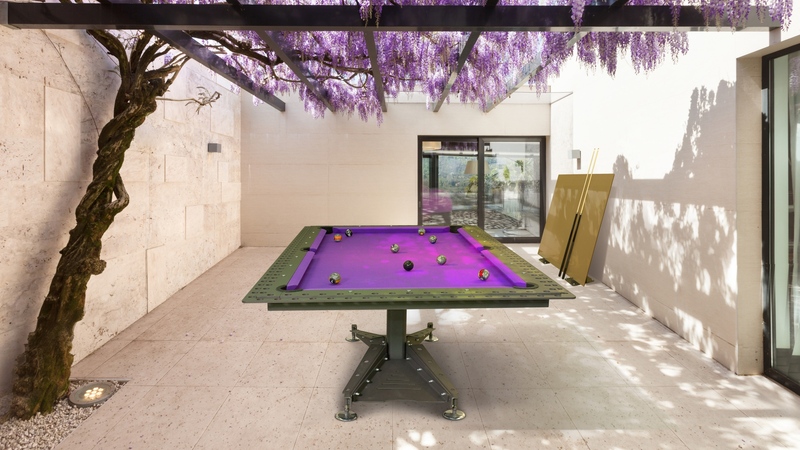 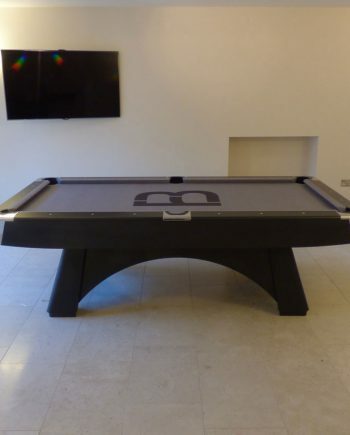 It can be used as a stand alone Pool Table or as a Pool Dining Table due to its very slim design. 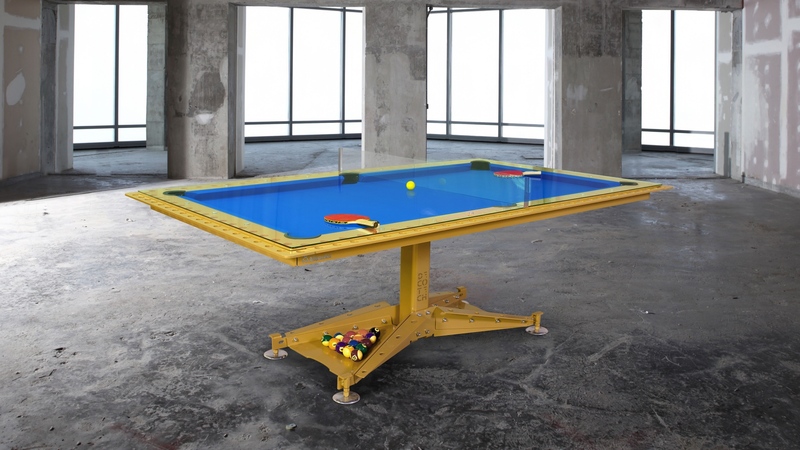 We also offer an optional Table Tennis Top so you can turn this it into a multi-use games tables. 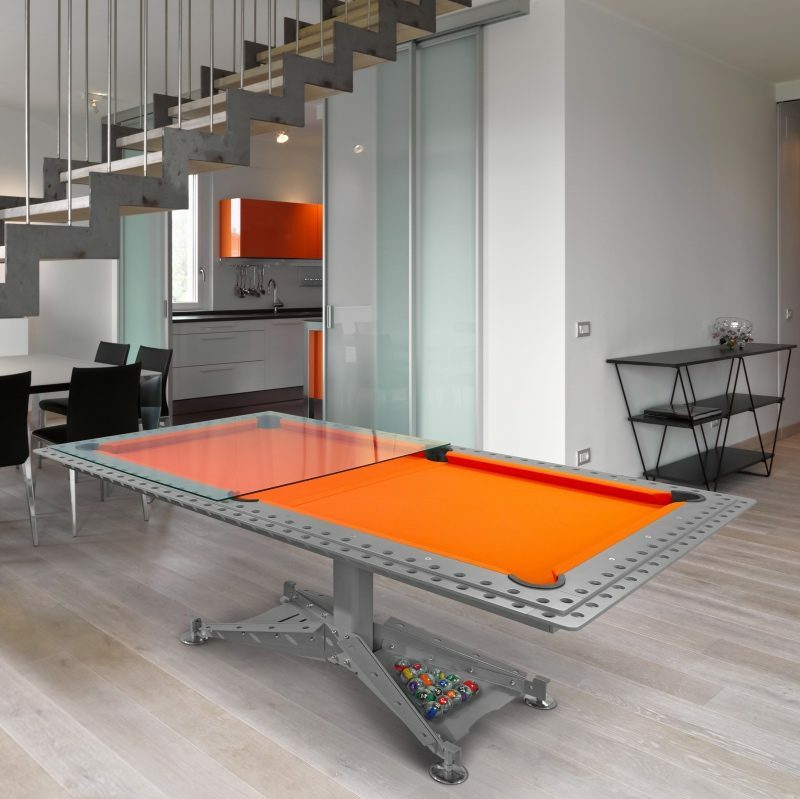 There are several ways in which you can customise this table which are detailed below. 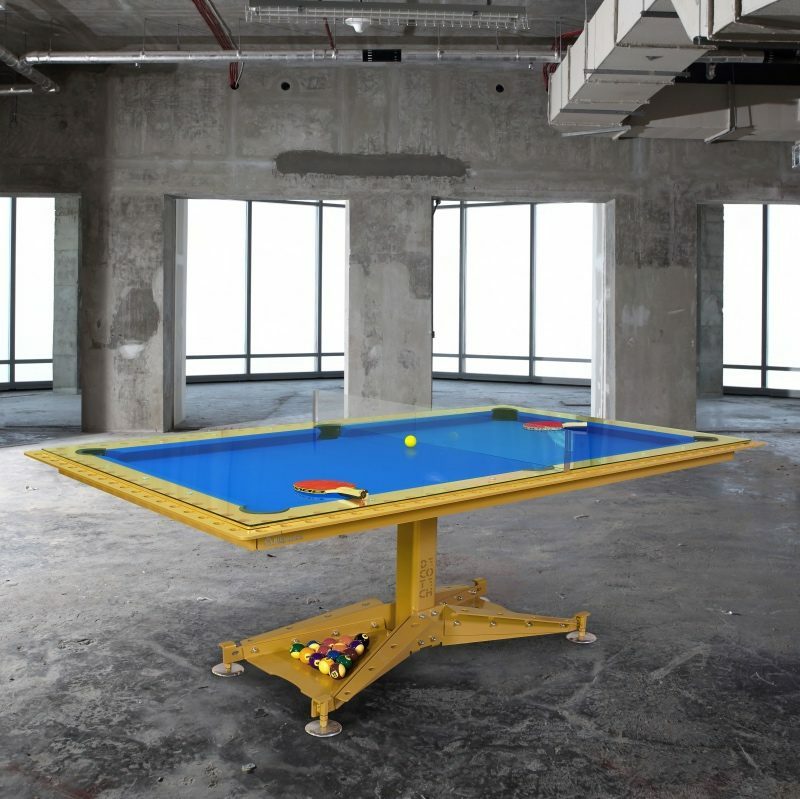 Please contact us now so that we can explain the different options to ensure you get the right table to suit your needs. 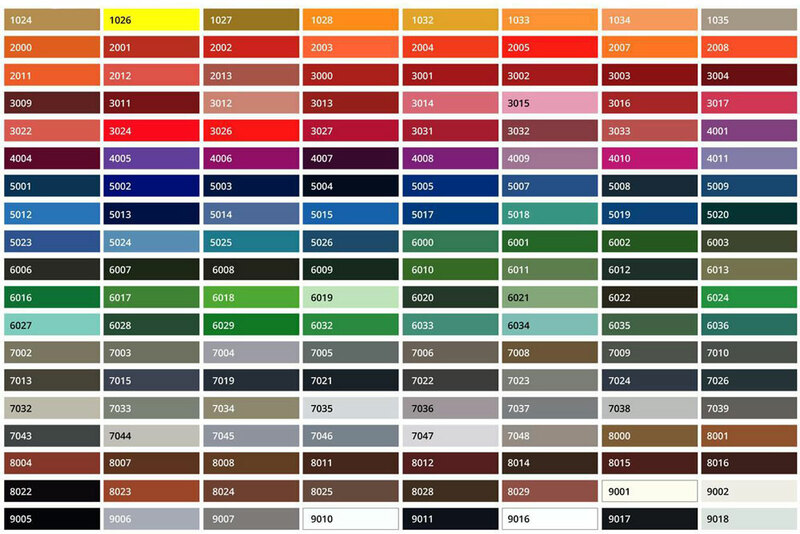 The metal frame of the table can be finished in any RAL colour of your choosing and you can see some example colour options in the chart lower down the page. 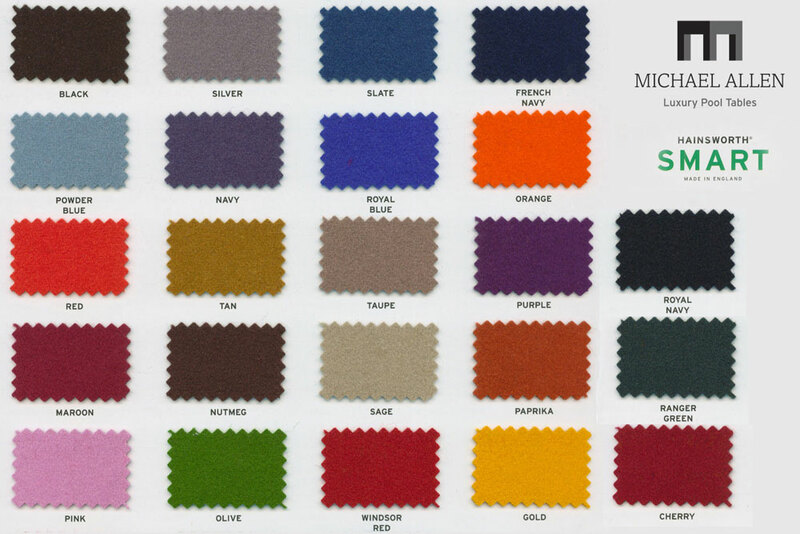 You will find below 3 types of cloth to choose from. 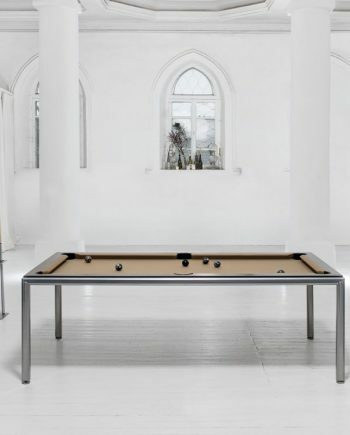 Simonis is the top of the range ‘Speed Cloth’ and the Hainsworth Smart is a high quality ‘Napped Cloth’. 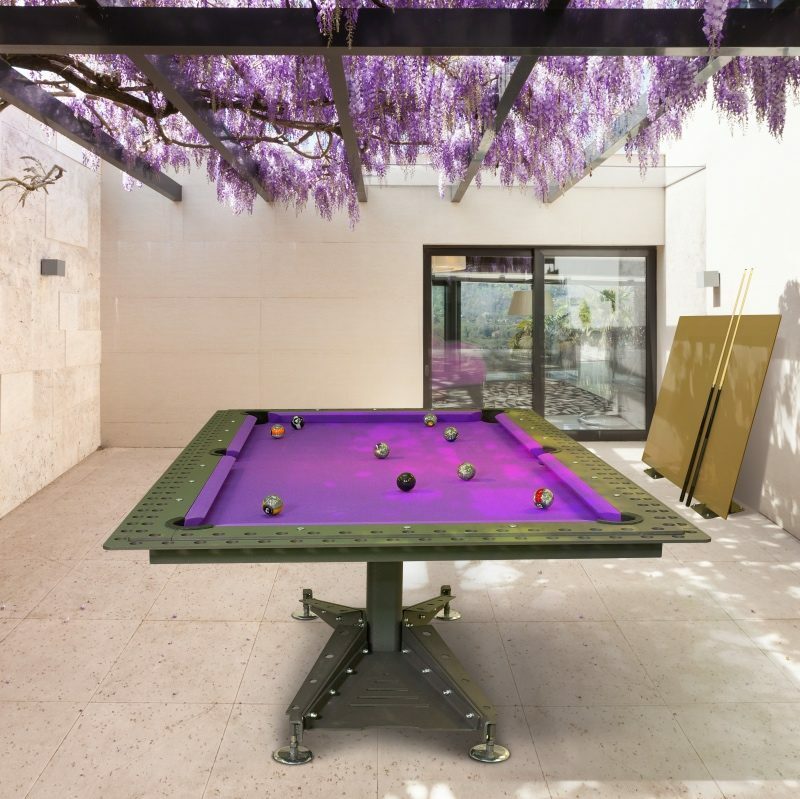 It is most common to find a Napped Cloth on English Pool and Snooker tables and a Speed Cloth on American Pool and Carom tables, but this doesn’t have to be the case. 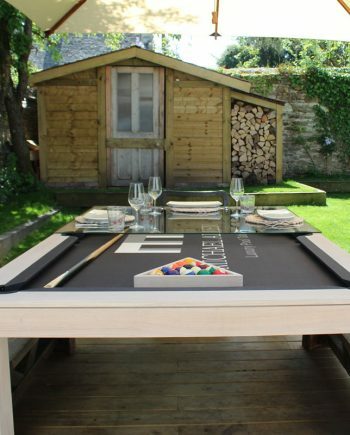 The third option is a bespoke printed / branded cloth. 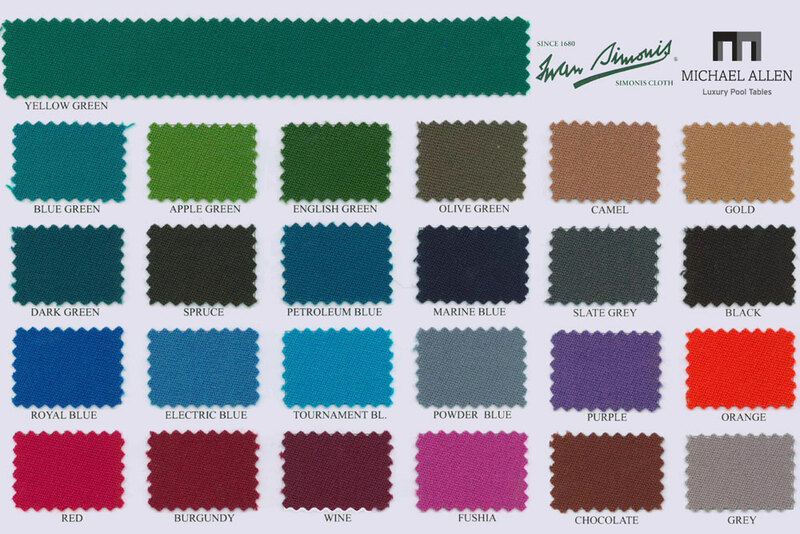 We would be happy to post you a sample of any of the cloth colours which you are interested in, just drop us an e-mail with your postal address and colours you would like to see. 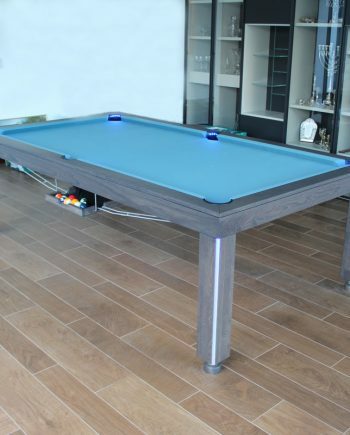 All of our Pool Tables are custom made to order for us by Bilijardai. 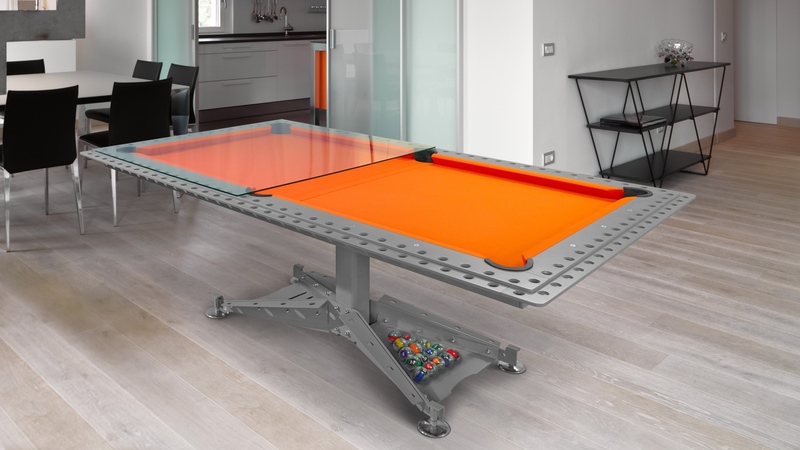 Please find below our table size guide for the Industrial Pool Table. 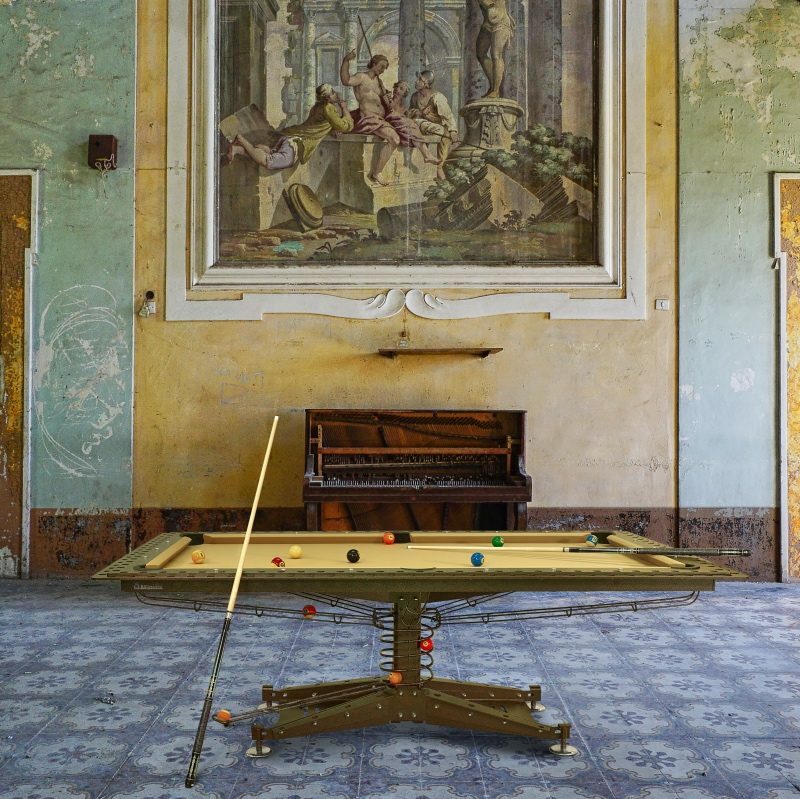 These are our minimum recommended room dimensions to ensure you will be able to play a good game of Pool.